Looking for suggestions for teen birthday party places in Dublin, Pleasanton and near by areas. May be a club house/community center/hall/banquet hall. 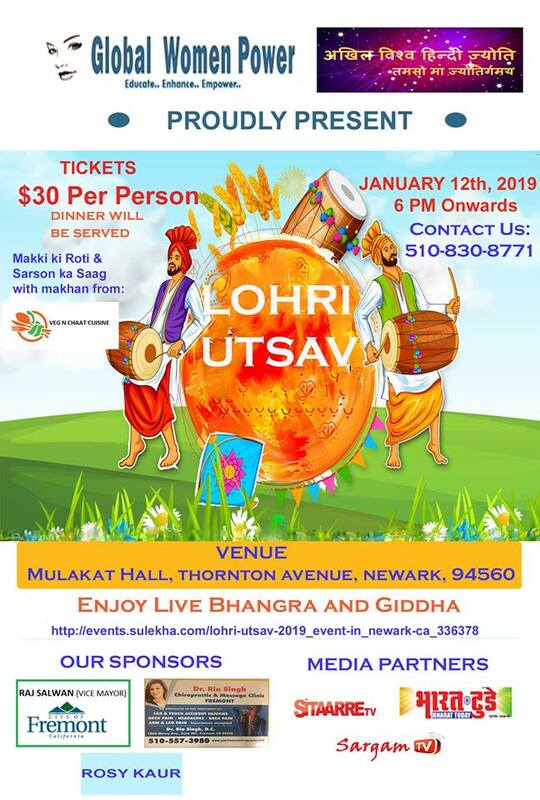 Lohri Utsav has been organized by the non-profit organization Global Women Power in association with Akhil Vishwa Hindi Jyoti organization. The Lohri festival is a Punjabi festival that marks the beginning of the winter season in Punjab, India. It is also called as the harvest festival of India. I am Bhargavi I am a telugu anchor and have four years of experience as an Rj (Radio Jackie). I can host or organize any events pls contact me at magiiange…@g…com or 2813818641. 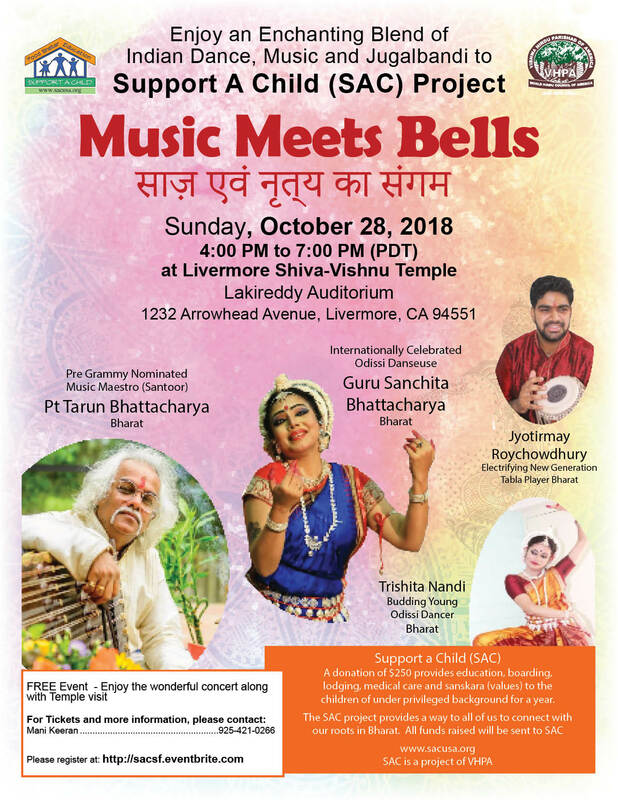 Please attend the event at Shiva Vishnu Temple, Livermore. Register for free at, http://sacsf.eventbrite.com/. Big B 76th Birthday dedication event ! Sunday Oct 14. Blue Fox Restaurant, Pleasanton. 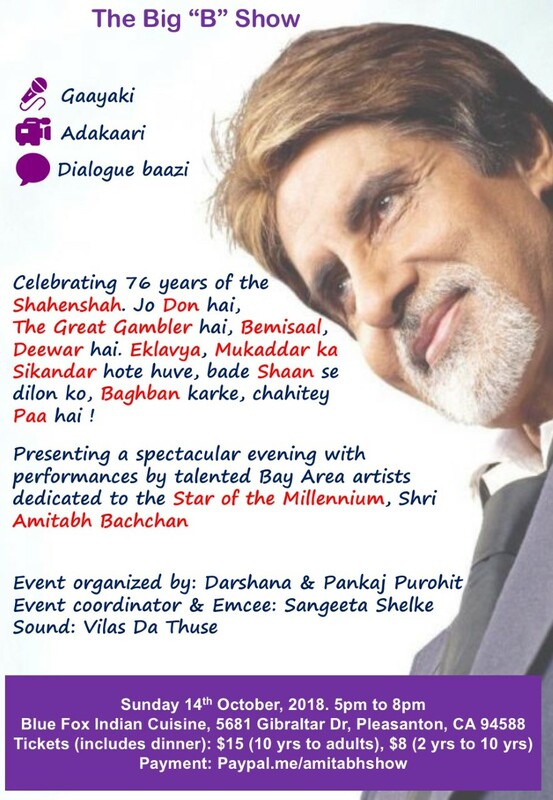 An evening dedicated to the 76th Birthday of Shri Amitabh Bachchan ! Closed Mic event: 5pm-8pm (14+ singers presenting songs, dialogues and shayari). Open Mic: 8-9pm. Limited seat venue. Paypal in advance. It was YOU behind the successful staging of popular drama Kattukuthira. Sargavedi now seek your support for staging the intriguing story of Perunthachan and his prodigious son, as a yet another gripping Malayalam drama with live music and dance. 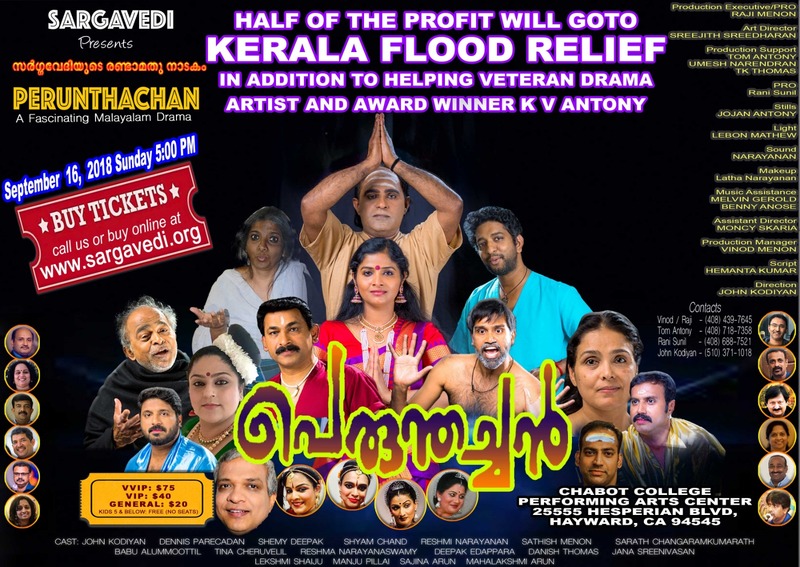 Perunthachan team is donating 50% of profits towards Kerala Flood Relief. When you join to watch us perform live you are going to be part of these noble causes. 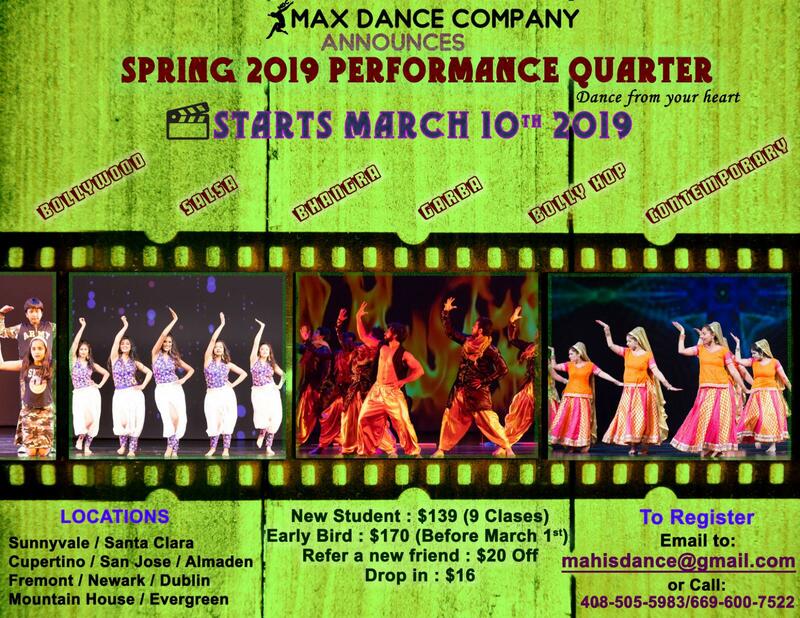 So please, with an open heart come and support the Malayalee talents of Bay Area, indulge in the beauty of art and culture of yesteryear’s Kerala. Kindly pass on your words to others and bring them along. Seating starts at 4:30 PM, please arrive early so that you can get settled in your seats comfortable. Special discount for photo shoots. I am a professional photographer living in Bay Area. I have done Birthday parties, Children’s parties, Family portraits. After the successful staging of popular Kattukuthira on multiple locations around the country, Sargavedi presents the intriguing story of Perunthachan and his prodigious son as a gripping Malayalam drama. As usual, Perunthachan is acted and produced by talents from our local community. 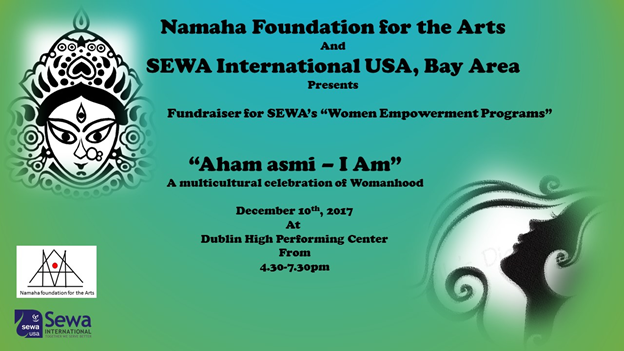 Please show your support by reserving your tickets in advance, and, encourage your friends and families to attend the inaugural staging of Perunthachan in Bay Area. 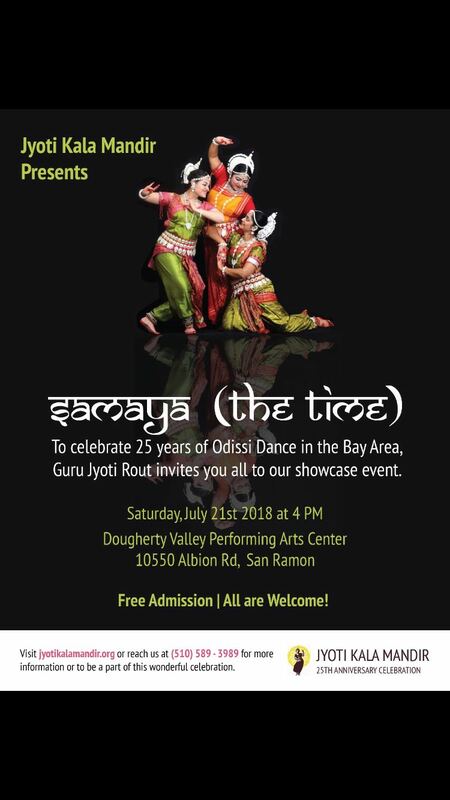 Venue: Chabot College Performing Arts Center, 25555 Hesperian Blvd, Hayward, CA 94545. Admission: $75 (VVIP), $40 (VIP), $20 (General). Kids 5 years and below are admitted free with no seat. 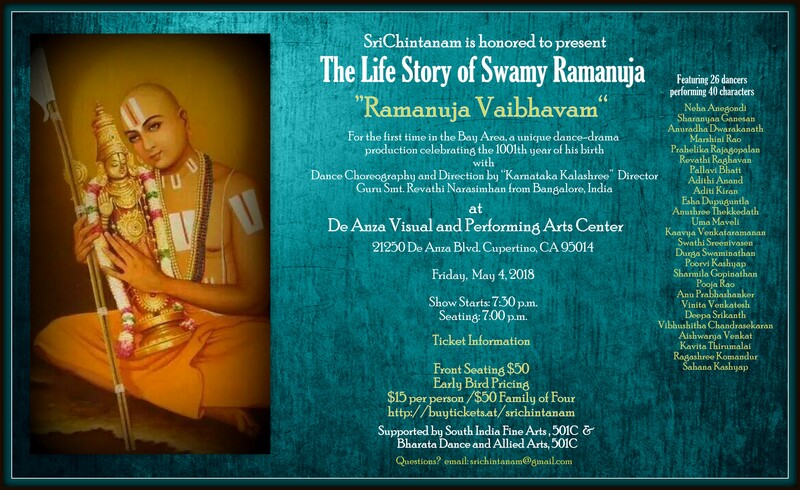 Please visit http://sargavedi.org for details and purchasing tickets. Part of the proceeds from staging of this drama would benefit Mr. K.V. Antony, a well-known stage actor in the professional Malayalam drama scene. The 67 year old actor from Vypin, Ernakulam appeared on more than 500 stages and he is a recipient of the state award for his role as Ekalavyan in Kazhimbram Vijayan’s “Ambara”. But he hit hard times later in his life and now struggles to make ends meet. 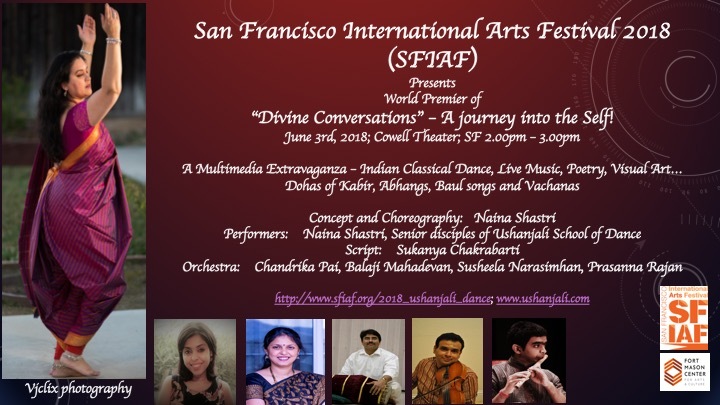 Ushanjali School of Dance is thrilled to be part of the festival! 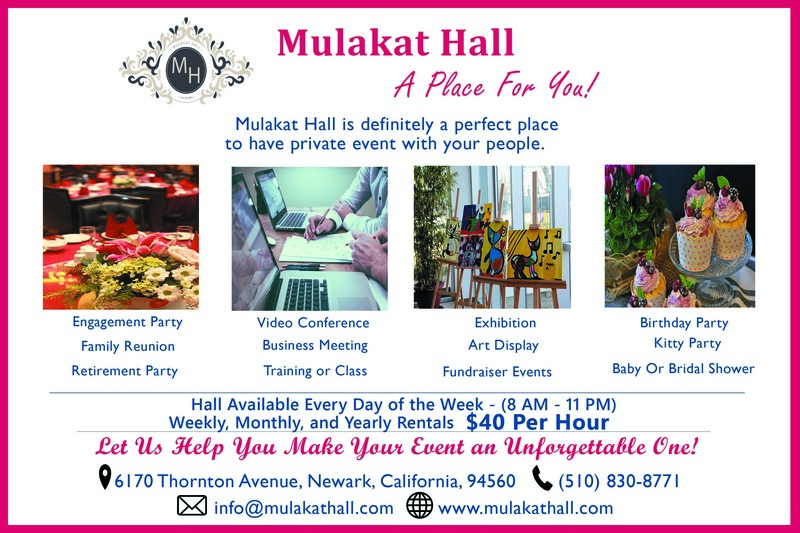 Mulakat Hall is an event space in Newark, CA for all your event needs! For events such as engagements, get-togethers, birthday parties, baby showers or as shared office space or for classes, office meetings, presentations, seminars, health camps etc. 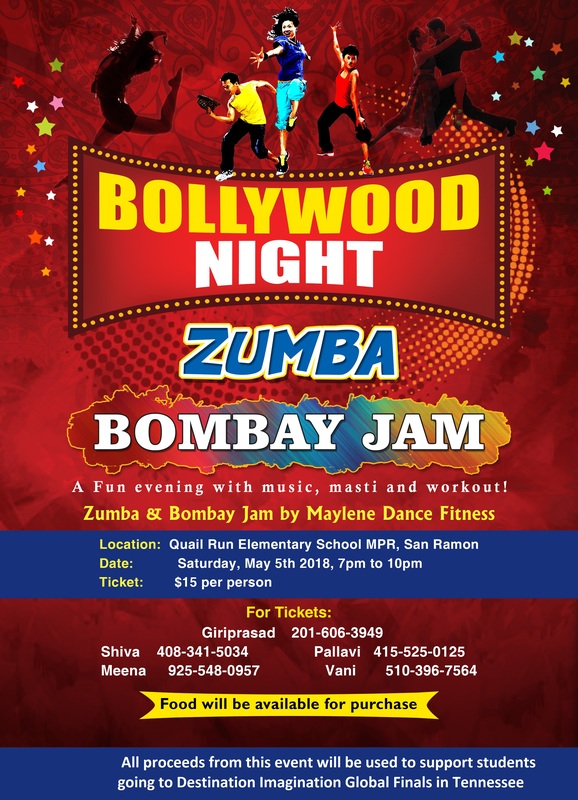 Zumba+Bombay Jam+Bollywood Night @ San Ramon on 5/5 – Saturday. The tickets are $15 each and kids 10 years and younger will be admitted free. This event is going to be held at Bombay Garden in Newark on the 11th of April 1018. 30 Seats Only – so book now! Networking is an essential part of building a business and ideal platform for sharing ideas and concepts. Join the conversation and nurture relationships that propel you towards accomplishing great ideas. Global Women Power is a non-profit organization run by and for a network of female business owners, professionals, social workers, and volunteers. This network provides aspiring women leaders with the platform to connect, empower each other and to create significant social changes around the world. Each Global Women Power project is aimed at empowering and transforming women and their communities globally. Theme: Songs of Masti, Holi, Rang and Colors ! Limited Seats ! Reserve you spot today. Email: justsingdesikaraok…@g…com for more information. 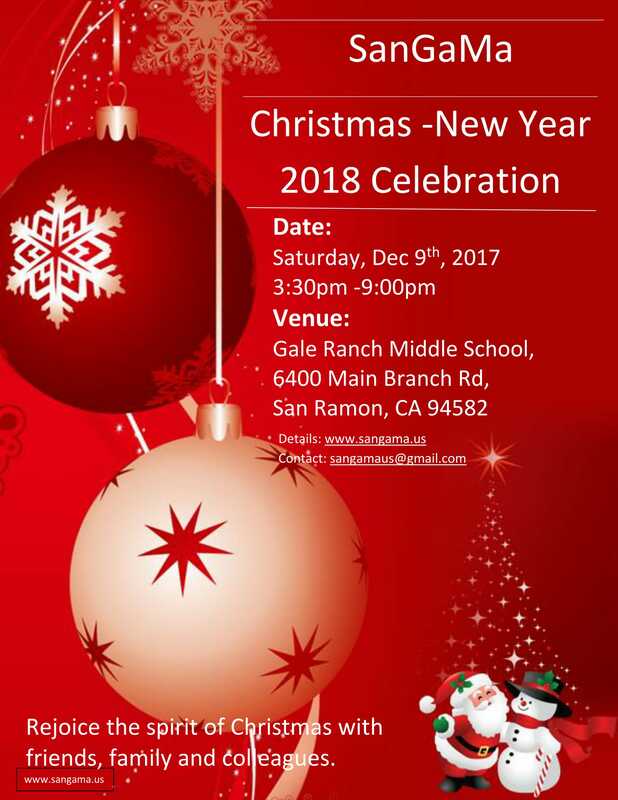 Don’t miss the fun ! 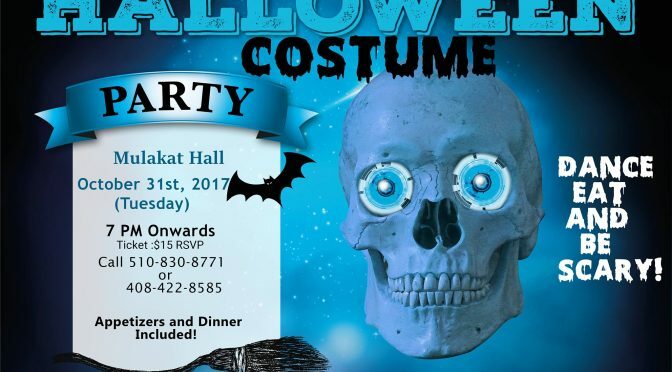 You’re Invited to a Halloween Costume Party! Dance, eat and be scary! Get your costumes and dancing shoes ready! Get your friends and groups along. 10/31/2017 At Mulakat Hall, Newark – 7 PM Onwards. Ticket :$15 RSVP only for the headcount. Nothing at the door. Join us for a Night of Halloween Fun. RSVP Now! A bay area based event planning company focusing on birthday events. The vision of our company is to provide a comprehensive solution to all your party needs. So, be a guest for your next birthday party and enjoy the occasion to the fullest while we do the best!! 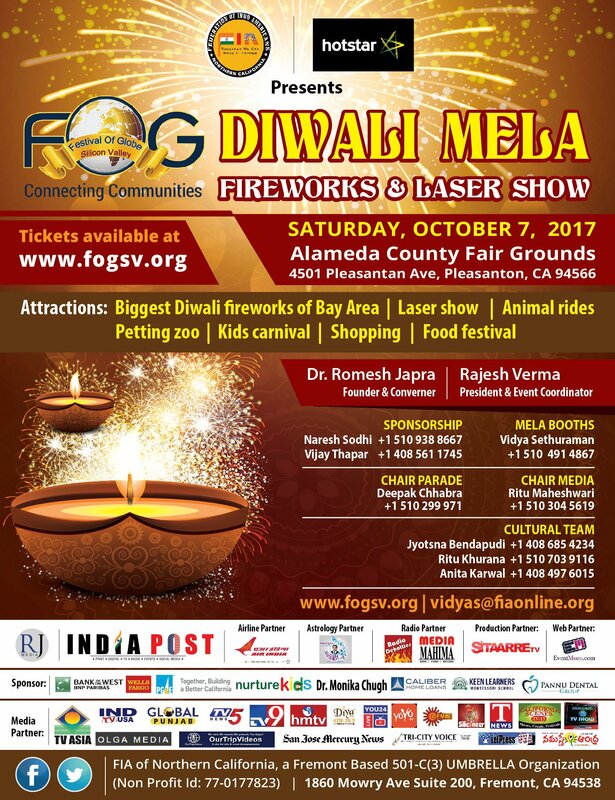 FOG Diwali Mela Fireworks and Laser Show on Saturday Oct 7, 2017 at Alameda County Fair Grounds, Pleasanton. 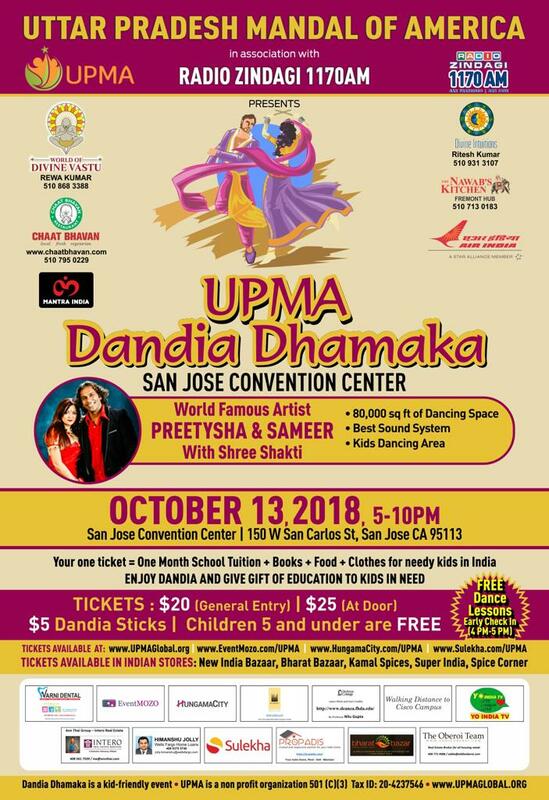 Biggest Diwali Fireworks of Bay Area, Animal Rides, Petting Zoo, Kids Carnival, Shopping, Food Festival. Hi Friends, I am looking for a Birthday party venues recommendation. I am planning for my daughter’s first birthday with around 50 guests. 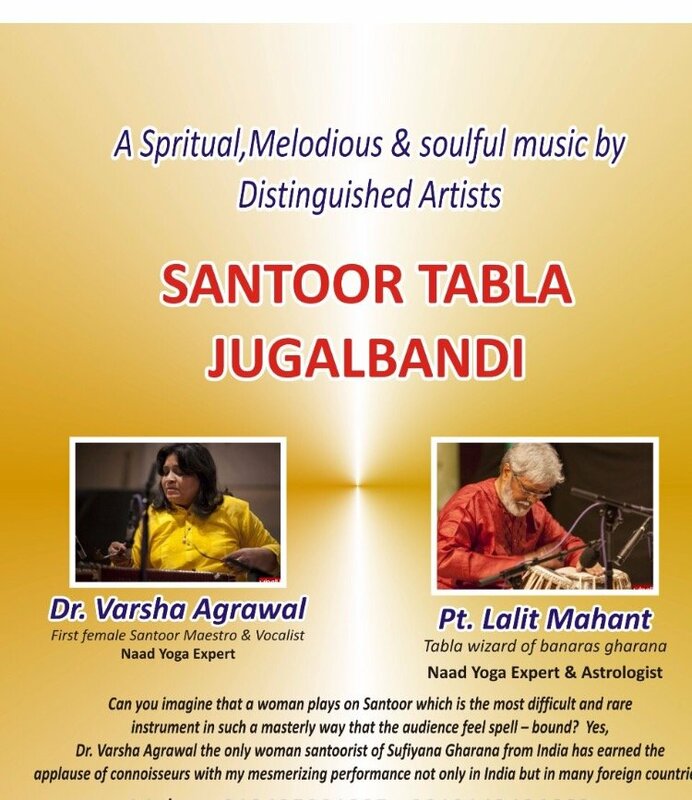 Come and relax your mind and body while enjoying to the Santoor and Tabla play soulful Music. 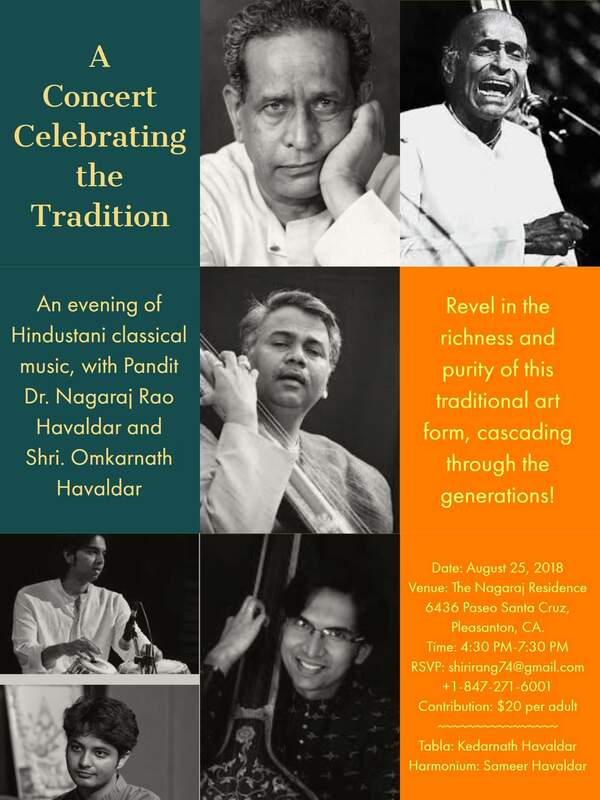 Spend 2 hours relaxing your mind and body in a peaceful manner with beautiful Indian Music. First, unwind with an hour of Meditation through Music. Our two honored guests will help you loosen up and stay calm. In the second hour, you will be able to enjoy to an amazing Jugalbandi of Santoor and Tabla. 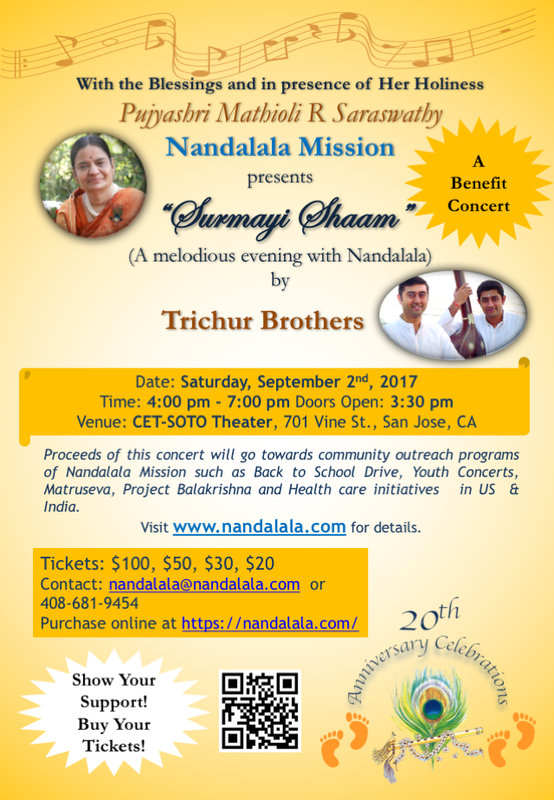 Please come and enjoy an evening with unforgettable musical moments on August 19th 2017 from 4pm – 6pm at Lakireddy Auditorium, 1232 Arrowhead Ave. Livermore CA 94551. Aashvi has been my student for more than 8 years. I am very proud of her achievement in dance. After 8 years of her journey learning Bharatnatyam, Aashvi is performing her Arangetram. 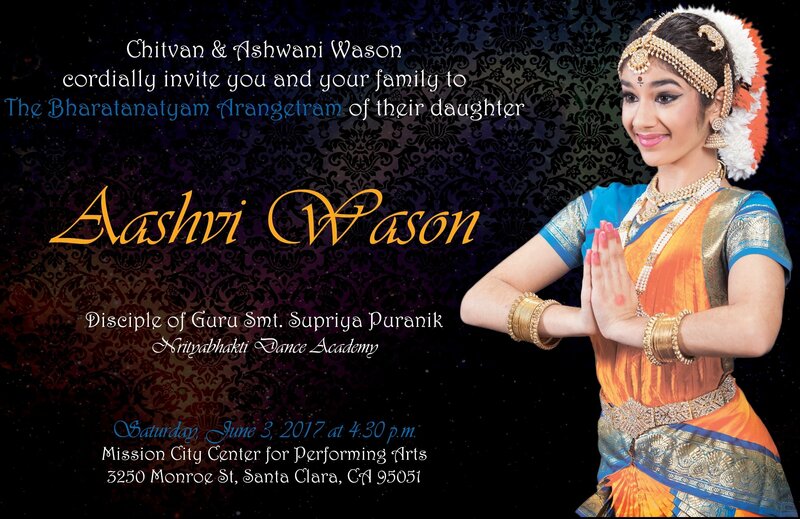 I would like to cordially invite you all for her Arangetram performance on June 3rd, 2017. Your presence and blessings for her Arangetram will encourage her on this important day! Please find the attached invitation and more details. This will be two hours’ event in Santa Clara with 20 min intermission. It’s a free event. There will be snacks provided in the intermission. Fundraiser for Shri Shankara Cancer Foundation. 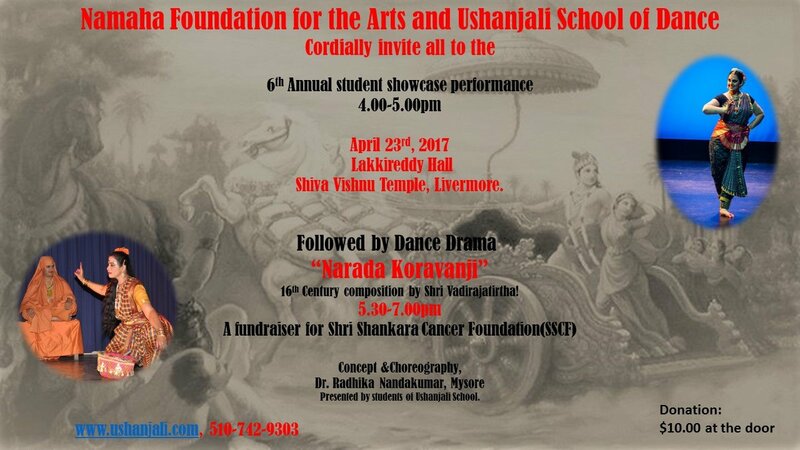 April 23rd, 5.30-7.00pm Lakkireddy Hall, Livermore Temple. 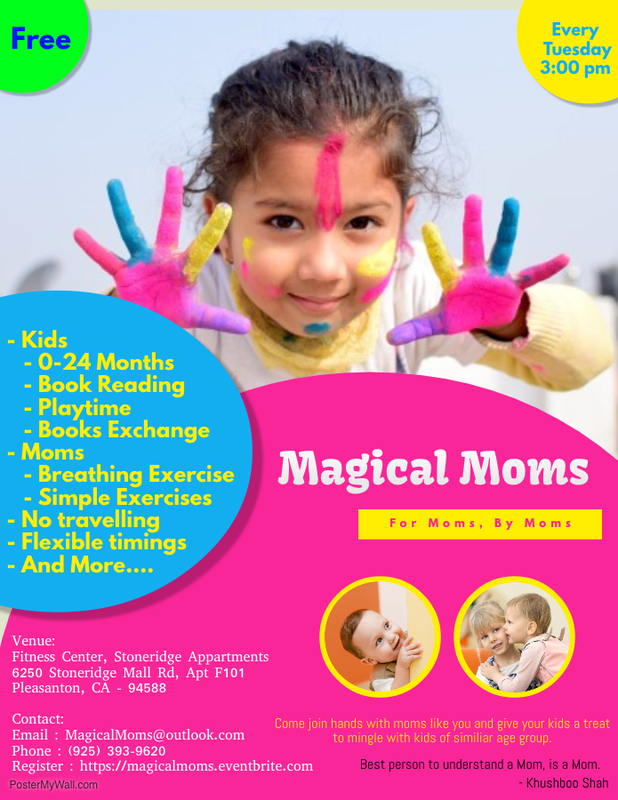 Sponsors: Kumon (San Ramon Center); Building Kids (Mountain View).